26th to 27th of August saw another triple round BTCC weekend head up to North of England, this time to a Northamptonshire based Rockingham circuit. As the championship nears to its end, steaks are getting undoubtedly high, which is evident in the number and seriousness of penalties received by the drivers this time round. Round 22 saw Stephen Jelley receiving a £500 fine and three penalty points for incidents involving Senna Proctor and Matt Simpson, while Martin Depper was officially reprimanded and received two penalty points for an incident involving Brett Smith. Rounds 23 and 24 were rather unfortunate for the MG Racing RCIB Insurance driver Josh Cook, who was first reprimanded and received two penalty points, which was his third strike and lead to him starting Round 24 from the back of the grid. Round 24 did not look any better, Cook was fined £500 and received three penalty points, which was his fourth strike and constitutes a one race ban. His team have appealed the decision, which will be heard on Friday 15 September at Silverstone, if not overturned this race ban will be the first one to take place since 2001. 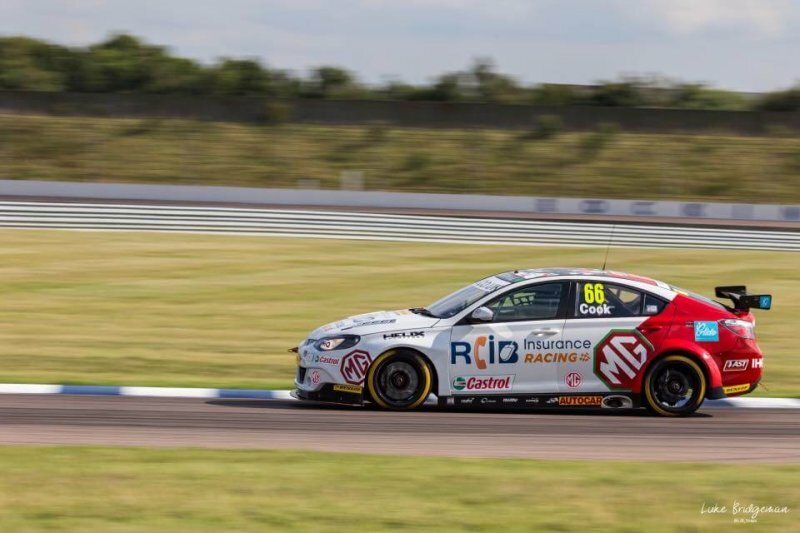 Adrian Flux Subaru Racing Ash Sutton showed another magnificent performance at Rockingham BTCC weekend and earned himself a sixth race win of the season with a comfortable 2,43s advantage in Round 23. The 23 year old finished the overall meeting with a 12 points advantage above second place holder, Team BMW’s Colin Turkington in the championship standings board. Halford’s Yuasa Racing’s Gordon Shedden in the meantime struggled to push himself into a single top 10 finish and fell 50 points behind Sutton. Power Maxed Racing’s Senna Proctor claimed another Jack Sears Trophy success, as the 19 year old driver maintains his firm grip on the overall rookie honours.